Did you know that moving to a new house is one of the most stressful things that you can do? Many people believe that they have to move a car by themselves, as they don’t know about the stress relief benefits of using an auto transport service, which is especially convenient if you have more than one vehicle. So, why would you decide to use a car shipper? Consider that using this sort of service can save you time and money. Thanks to the rising cost of gas, the cost of actually being on the road can be quite expensive. Using a moving service to ship your household goods is fairly common, why not your car? 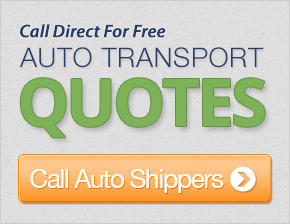 If you have never used an auto shipping company, you may not know what to expect. You should feel comfortable with the company that is providing the service, so make sure to investigate potential auto transporters via the Better Business Bureau and the Federal Motor Carrier Safety Administration. Once you choose a car shipping company, they will provide all the paperwork and instructions that you need to ship a car, while you worry about the rest of your move. Preparing to have your vehicle moved is actually a lot easier than you might think, especially if you decide to use the services of an auto shipping broker. Brokers are able to do all the hard work for you. In fact, some auto shipping brokers have far more experience than many of the transport truck companies that you will see advertised locally! Brokers have discount arrangements in place with car shipping companies, so they are able to offer you the best price on the services that you need while still making a commission. Vehicle shipping is conducted in accordance with the type of car you have, whether it is a classic car, standard commuter, or a motorcycle, and the type of delivery that you would like to have carried out. For example, if you need vehicle shipping for a classic or expensive car, you might opt for a boutique service with an enclosed trailer to ensure that your vehicle is not scratched or chipped throughout the car delivery process. This is particularly beneficial if you are moving far away and will be crossing multiple different terrains. Another reason that car shipping relieves stress is because shipped cars will not be affected by wear and tear attributed to driving long distances. The result is that you will maintain the value of your vehicle, and not have to worry about the possibility of breaking down in a remote area. Actually shipping a car is a particularly easy process. Shippers will either pick up your car from your residence or a nearby location, or require you to drop it off at their closest shipping terminal. Considering just how easy car shipping is, it’s no wonder people choose to purchase these car transport services to relieve stress.